Hello, friends of The Princess & the Peddler. 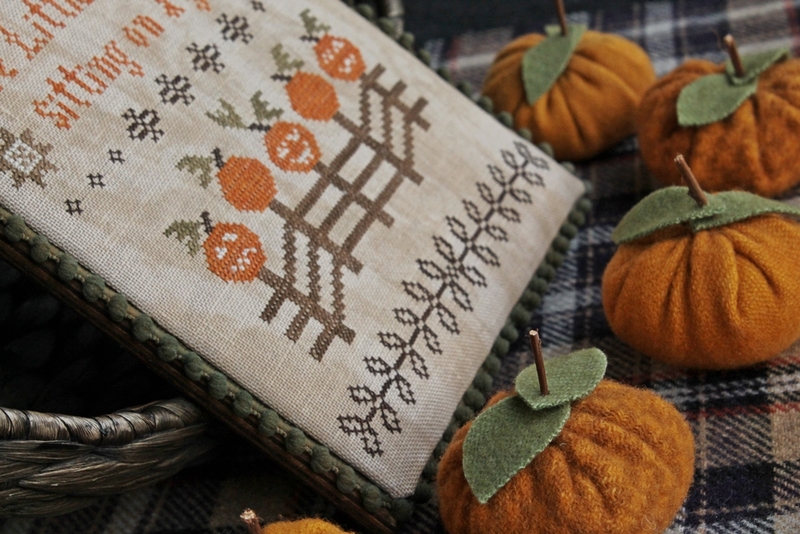 I hope February has been a good stitching month for you. We have been having such a mild winter that the spring flowers are bursting through the cold ground. Won’t be long now! I’ve been working on Garden Fair by Blackbird Designs. I’m loving the beautiful over-dyed floss and even have been thinking about dying our own line of floss. I think I should put it off until I can be outside and keep the mess out of my kitchen. So what do you think? Like the threads? I have even bought the wooden box to finish this as a keepsake box. It has a little metal clasp to keep all your treasures safe. Since our last ‘musing’, we have been busy designing our own line of printed linen and we just love it as well as our customers. We have named it ‘French Market’. If you haven’t checked it out on our site, you really should take a minute to do so. It’s a great alternative to standard linen. We love it! We also picked up these wonderful ‘needle minders’. They are also going to be at the Nashville Market this weekend but I got an order in early! 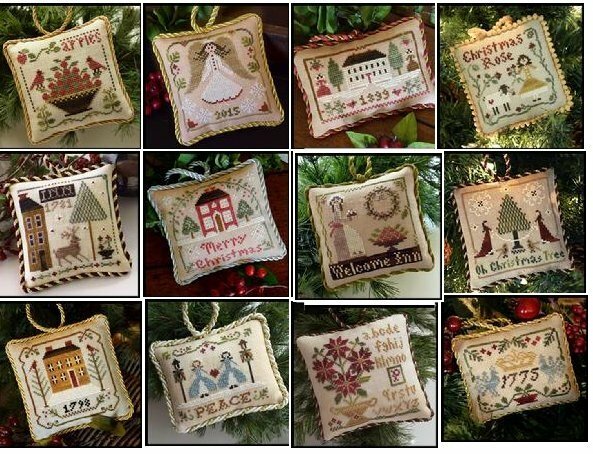 The patterns are from some of your favorite designers, Little House Needleworks, Blackbird Designs, Lizzie Kate, and the list goes on. These make a great gift if you need something for a stitcher friend. The next thing I want to show you is these tarts by Blackbird Designs. Aren’t they adorable? I brought in 8 different tart patterns and can’t decide which I like the most! They are so darn cute and won’t take a huge time commitment to complete. To see all 8 patterns, check them out of the website. Oh, and we do offer the tart pans to finish as the designer did. We think you’re going to love them! And lastly, we’re running a sale to make room for all the new patterns that will be available after this weekend. The Nashville Market begins Friday and runs through the weekend. There will be 130 vendors, mostly designers, that will be offering you the most current designs. I can’t wait! If you want to take advantage of this sale, just enter this code NASHVILLE at checkout. We currently are offering over 200 products and can easily bring in 200 more but I just don’t have the room! HELP! So, lots of fun things coming down the road. We hope you check us out often to see what’s happening at the castle.